If you are about to go away on holiday, for work or any other reason and you want to know whether your electric toothbrush can work in a foreign country, then we have the answer for you right here. 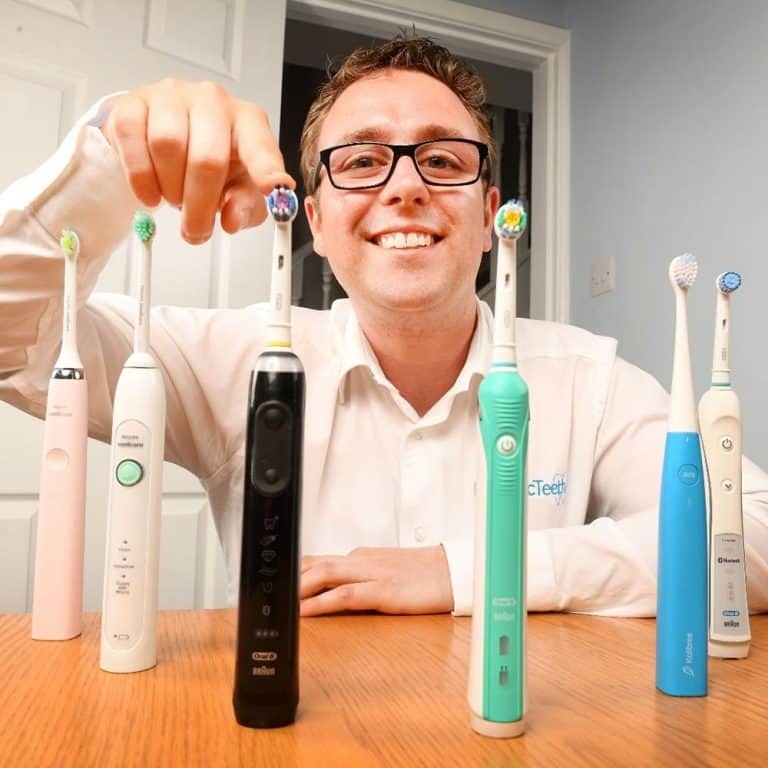 The reality is that most electric toothbrushes can be used abroad without issue. The whole differing power, voltage and adapters can all get a bit confusing. Subject to your brush and where you are using it will affect what you need to make it charge abroad. This can be a little confusing, so we hope to make this as clear as possible. If you are confused or still have a question come the end of the article, leave a comment below and we will do our best to answer it. There are 5 key things to consider. Do you need to take your charger with you? What voltage is electrical supply in the country you are travelling to? What voltage does your electric toothbrush charger support? Do you need a plug adapter? The first thing to consider is how long are you going to be away/travelling for. Aside from an electric toothbrush powered by removable batteries, most brushes last no longer than 3 weeks based on one user cleaning their teeth twice a day for 2 minutes. Every brush model potentially has a different battery life to the next model, so consult you manual or the manufacturer to find out how long your battery will last. If you are going on a 2 week holiday and have an electric toothbrush with a 3 week battery life, do you need to take the charger, probably not, if you are to charge it before you leave. If you are going away for 2 weeks but have only a 2 week battery life you could risk running out of power or you might want to take the charger. Different countries around the world potentially have different electrical systems to the one you are used to at home. This includes the current/voltage that is delivered to the sockets and the plugs/connectors on appliances. Many countries in Europe have a voltage of 220-240V, whilst in the USA and Canada it is 110v. This website offers up a really useful guide to the voltages used by different countries around the world. Once you have figured out the voltage you now need to check your electric toothbrush to ensure you can be prepared for charging your brush in that country. To check what voltages your electric toothbrush charger supports it is best to get hold of the charging stand and take a look at the labelling, usually found on the underside. Depending on what your brush charger states will depend on whether you can use it in that country. You need the charger to include the voltage of the country you are travelling to. So if the country’s voltage is 220v and on your brushes charging stand it states 100-240 or 220-240v everything is good. You can use that charging stand. If the country’s voltage is 110v and your charger states only 220-240V then this will not work, you will require a voltage adapter/converter. Some electric toothbrushes come with premium travel cases, that allow the brush to be charged in the case, rather than on a charging stand. The Oral-B Genius 9000 and Philips Sonicare DiamondClean are such examples. Their chargers normally support 100-240v. Worth considering if you have such a model and the normal charging stand does not have a such a wide voltage support. If you charger had support for the country’s voltage then you will not need a voltage converter. If you however had a charger that for example supported 220-240V and you are travelling to a country with 110v power, you will need a voltage converter. This special piece of technology will allow your brush to be charged on the different electrical current, by either stepping up or stepping down the power, subject to your charging stand and where you are travelling to. Once you have a voltage converter you might need to consider whether you need a plug adapter. A plug adapter is an item that allows an appliance from one country to be plugged into the wall outlet of another country. It converts for example a 3 pin UK mains plug to allow it to connect to a 2 pin European mains socket. It is subject to your home and destination country but it is quite likely you will need a plug adapter. You need to consider what plug you have on your charging stand. These plug adapters do not change or convert the voltage. Therefore you may need to plug voltage converter and a plug adapter. It is quite possible you will need a voltage and plug adapter. This is particularly common for UK residents travelling to the USA or Canada as one example. In the UK, our electric toothbrush chargers normally come with a 2 pin connector that is different to the 2 pin European mains power adapter and the 2 pin US mains adapter. If as a UK resident you are travelling to the USA, you will need a voltage adapter. It is likely that this voltage adapter will connect to the US mains, but offer up a 3 pn UK plug socket. You will then need a 2 pin to 3 pin adapter into which you can connect your toothbrushes charging cable. UK residents travelling to France or Spain will need only a 2 pin plug adapter as the voltage is the same as the UK but the plug connection is different. A Spanish resident travelling to France would not need a voltage or plug adapter as the voltage and plugs are the same. UK residents travelling to the USA or Canada will require a voltage adapter/converter as well as a plug adapter. USA/Canadian residents travelling to Europe will require a voltage adapter which will work is most in most European countries that have the two round plug ends. If travelling to the UK you will require another plug adapter due to the different style power outlets. If you are staying in a country with a different voltage or plug system for an extended period of time, it might be worth purchasing a brand new charging stand for your brush that is designed and configured to work with the mains supply in the country in which you are within. Speak to your brush manufacturer to find out if this is possible and how to buy one. Please note. This is a guide only and intended to help you ensure you are making the right decision and are prepared for travel. You should do your own research and speak to the brush manufacturer or consult the manual for further information. Electric Teeth endeavour to provide relevant and accurate information, but cannot be held responsible for any incorrect information. Can you tell me if the oralb 9000 toothbrush (comes with a uk charger) can be charged on a US phillips sonicare easy clean charger. Thanks in advance! Hi Tracy. No, the Oral-B brushes can’t be charged off of a Sonicare charger. You can buy US versions of the Oral-B charger if this would be more suitable. I live in Jamaica and will therefore have to buy my electronic toothbrush in US. I am considering buying Phillips Sonicare Pro2 2500 I travel regularly yo UK will I have any problems with the voltage? If you are buying from the USA, you are unlikely to be able to buy the Oral-B Pro 2 2500 as this is not sold in the USA. There are similar models from Oral-B but they are different. If you travel regularly to the UK, you can buy it here of course. The charging stand that comes with this Pro 2 2500 model supports UK voltage only. So, to use it in Jamacia you will need a voltage converter as well as a plug adapter to convert the 2 pin UK charger to 2 pin USA. The simpler solution in my opinion would be to have a USA charging stand and a UK charging stand. The brush will work on both stands, but then you will not need a voltage and plug adapter as using the correct charging stand will solve this issue. I recently moved to Japan from the UK and I have a Oral-B Pro 2 2500N bought in the UK and has a 2 pronged UK shaver plug. What plug adaptor do I need for Japan? I have literally no clue. It is my understanding that for the most part, in Japan, the same 2 pin plug as the USA is used. Whilst there are ways and means of converting your 2 pin UK charging stand to fit and work with the Japanese mains power, it is probably going to be better to buy a new charging stand. You are looking at a stand like this. I bought an Oral B 3757 electric toothbrush in Japan which has a US style 2 pin plug attached to the charger base. I brought it back with me to the UK and want to carry on using it here but its run out of charge. I have tried a 3 pin to 2 pin 1A adaptor but it failed to charge the toothbrush. Thanks for the question. I think what you need is a voltage converter like this. I have one of these that I use to charge brushes I have bought from the USA, here in the UK. I connect the voltage converter to the 3 pin mains socket, plug the charging stand into the converter and the brushes begin charging. There are probably other adapters out there, but I haven’t had any issues with this for the last year or so. You could also buy a UK Oral-B charging stand. Thank you very much for your help Jon, I have successfully ordered the voltage converter. I have a Braun Oral B toothbrush that has 220-240 V (50-60Hz) printed on the bottom, and made for use in the UK. Good so far. BUT, it only has a 2 pronged UK shaver plug, so was clearly designed to work on UK shaver sockets, which are 110-120V. How does it work if it only says 220-240V on the base, but it is designed to only plug into the 110-120V socket? Follow up question: If it is indeed the case that it can work in the UK shaver sockets then would I be able to use it in Canada where the power is 110-120V 60Hz? I do believe you might find this article on our website useful. What makes you think they are only 110-120v here in the UK? Generally speaking it would not be safe to use the 220-240v charging stand with a 110-120v electricity such as that in Canada and the USA unless you are using a converter to adjust the voltage. I am trying to work out what plug adaptor I will need for new zealand! I am presuming by the comment you may be in New Zealand for a reasonable amount of time, rather than a week or 2 and need to recharge your brush when there? 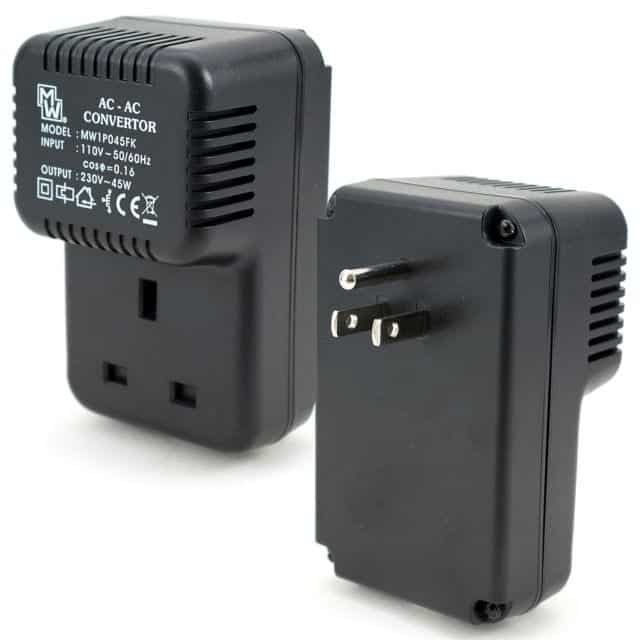 If so, you may want to get a 2 pin to 3 pin UK power adapter and then connect this into a UK to New Zealand travel adapter. Or I believe an adapter like this will work, but I have not used to tried to give 100% confirmation. Other peoples comments would suggest it works just fine. I have read and reread your generally very helpful advice, but I STILL can’t find details of an adapter that would let me use my Braun 220-240v fitted with a TWO pin plug in Greece where the two mains pins are a different width and distance apart. This should surely be the easiest of all conversions? In most instances European bathrooms will have a shaver socket in the bathroom that will accept the 2 pin plug on your charging stand. Failing that, this adaptor should do the job. The caption says 3 pin to 2 pin. I’m after 2 pin to 2 pin. You should see that the lower 2 pin slots are rounded on one edge which should accommodate the 2 pin plug found on your Braun shaving stand. Meaning this should work. Alternatively use a 2 pin to 3 pin plug adapter, as would be necessary if you did not have a power outlet in your bathroom in the UK. Then connect this to a standard 3 pin to 2 pin Euro adapter. Thanks, Jon. Quite incredibly clunky. I’m wondering what plug Braun fits to its chargers for the German market, assuming I could buy one, of course. That’s great Paul if you managed to get it cheaper. Its not clear that the plug provided there is an EU 2 pink connector, but I hope it works out for you. By the way, most holiday accommodation in Greece doesn’t have shaver sockets. I’ve been a couple of dozen times and can’t think of anywhere that had them, apart from big hotels. I am presuming you normally live in the UK and have travelled to Spain, therefore you have a 2 pin (UK bathroom) connector on your toothbrush charger presently. Whilst you can make use of adapters, I think it would be better for you, as you have a holiday home, to buy a 2 pin EU charging stand for your brush. Cost will likely be about the same, but you need not worry about bulky adapters, just buy a new charging stand. What brand is your toothbrush? Doing a search for other eletronics (videogames, for instance), I found some reports saying that there are electronics sold in Europe as 220-240V, however, they are actually 100-240V. From what I read, they are claimed to be 220-240 V in Europe for legal reasons. I friend told me the other day that she charged her Oral B (which is suppose to be 220-240V) in the US with no problem. Are we sure that the chargers of the Oral B sold in Europe are not actually bivolt (even though the charges say 220-240V)? WOuld there be a way to test it? Thanks for your comment. I am no legal mind or electrician to confirm 100%. I would imagine its possible some items would work but they may not perform correctly or be at risk of damage. It would seem odd to claim 220-240v but work on 110v voltages in the USA for example, particularly as they offer different currents of electricity. Philips Sonicare for example offer charging stands that specifically state 100-240v support whilst Oral-B specifically state 220-240v. Why not claim wider support? I am not sure how your friend charged her toothbrush in the USA. Did she take her EU stand and use nothing more than a plug adapter. I have used brushes like the Oral-B Pro 1000 released in the USA on a UK charging stand and it worked and charged fine. I have also used a UK released brush like the Pro 2 2000 on a US charging stand, but with a voltage and plug adapter here in the UK. Sadly I have not been to the USA of late with brushes to test first hand. I suspect there are voltage meters and people with more experience that might be able to add to this conversation but I am not trained in this area to go beyond what I have. I am not sure what the ‘technically correct’ answer is, but I have previously completed some brief testing and managed to charge Oral-B brushes on either a 110 and 240v charger.